The world-famous Swiss Auguste Reymond watch brand was founded in 1898 by a watch craftsman Auguste Reymond. The company's headquarters is situated at the north-west of Switzerland, in the city of Tramelane. 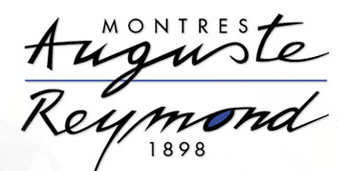 Auguste Reymond company has been always standing out for its independence. It doesn't belong to any other watch company. Auguste Reymond's America conquest started in the beginning of the 60-s. The company's market penetration happened rather fast and successfully, thanks to ARSA brand. The brand's great advertising campaign was worked out by real trophy watch owners – soldiers and officers after the war in Europe. At the end of the 70-s many countries started rapid quartz and electronic watch production. The popular watch market trend could not leave Auguste Reymond untouched. The company started producing quartz watches too. In 1989, when the company was governed by Thomas Loosli, an art and French literature historian and a big Jazz fan, whose influence the new mechanical watch collections style creation. This was Loosli's designer fantasies' embodiment, which was named Jazz. The collection combines design and technical aesthetics singularity. Nowadays the company generally specializes in wrist watches with the most complicated decorated and rare HI-END class movements and collector models. 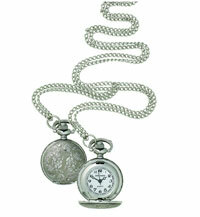 These watches will gladden all collectors, because each collection has from 500 to 1000 pieces. They have reasonable prices, affordable for collectors. The most popular and unusual watches of the last few years are: the 1994 “Jumping Jive” collection (500 pieces) with the jumping hour mechanism, some models of the 1997 “In the mood” collection (500 pieces) and of the 1998 “Ballad” collection (999 pieces). And the 2 most original and rare models are the “Take four” pocket musical repeater with the Unitas 6498 movement and the “Cotton Club” alarm wrist watch with automatic rewind mechanism. Auguste Reymond company has been producing special watches for blind and partially sighted people under ARSA brand for 70 years already. The company is the only producer of such watches in Switzerland. In 1997 Auguste Reymond company was introduced at the Russian watch market with its wrist watches and has conquered it. The combination of high quality and the flexible price policy is Auguste Reymond's success secret. This kind of a price policy was formed with the help of the best advertising – customers' recommendations and experts' reviews. Thus, an Auguste Reymond watch is a great investment.